I'm the worst for grazing between meals and I'm usually reaching for junk food. Every Sunday I read the Lean Green Bean food prep posts and think I need to do that for snacks. Only, I never seem to get around to doing it. This week I've been sorting through containers and it turns out that I have quite an assortment of snack suitable tubs. There have been occasions when "What will I put the prepared snacks in?" has been an excuse (a weak excuse) not to make them. Yes, in reality I could have just wrapped them up in cling film or popped them into a resealable bag. All of the food I already had tucked away in the cupboards but most of it I would use in baking and not opt for it as a snack unless I had portioned it all out like I did this week. What snacks did I prepare this week? 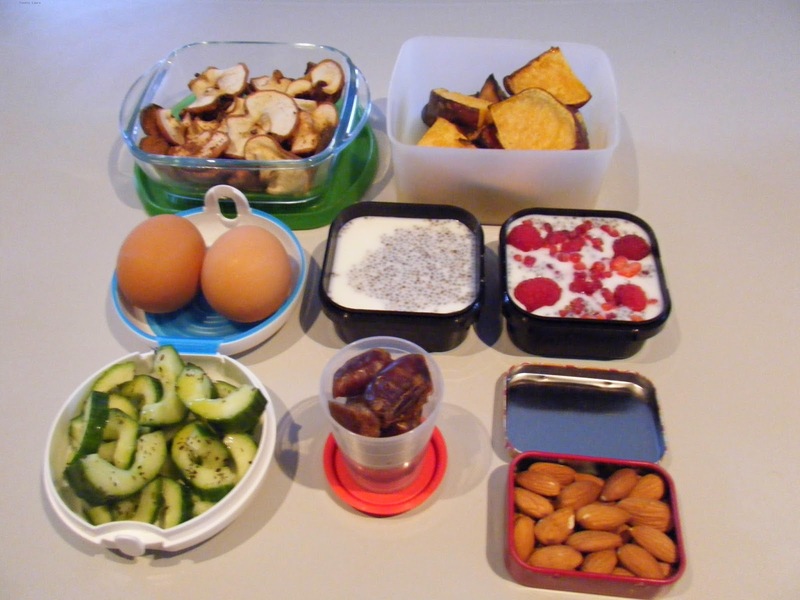 Do you prepare any foods in advance at the start of the week?